Show Racism the Red Card 2018 calendar is available to order today! After another brilliant SRtRC School Competition in 2017, the calendar is the perfect way to showcase the amazing creative work we received this year. SRtRC would like to give a huge thanks you to our sponsors for making the calendar possible. 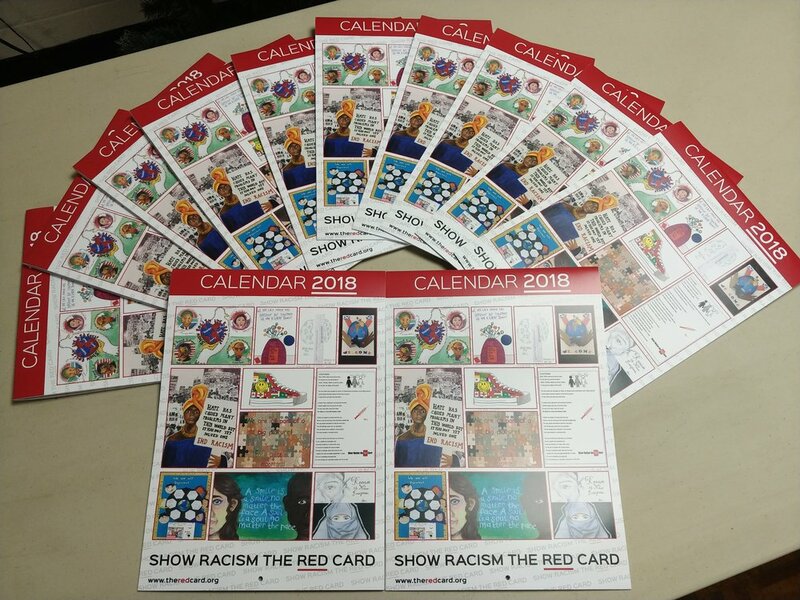 “SRtRC are excited to announce that our 2018 calendar is now available to order from the SRtRC shop! It is with great thanks to our sponsors this year that we are able to offer you a copy to purchase for only £4.50 which includes P&P.